MIAMI (AP) — Defense Secretary James Mattis said Monday that the U.S. military brings stability to most of Latin America through its operations run across the hemisphere by the Miami-based Southern Command. 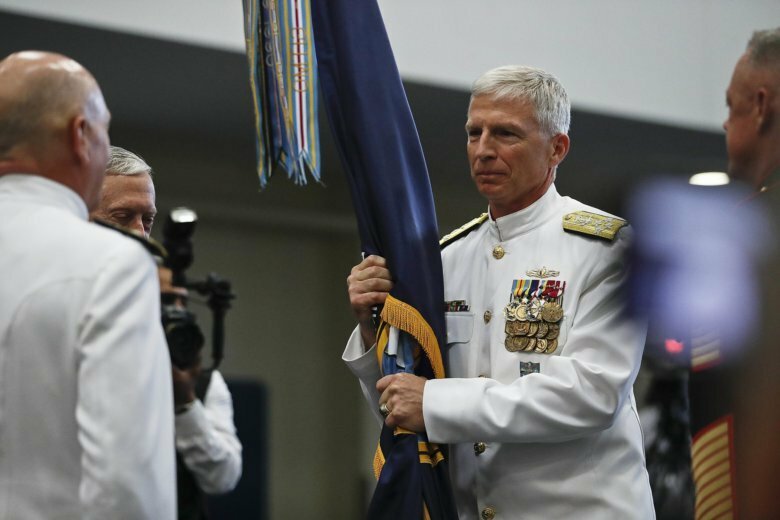 Mattis spoke Monday at a ceremony appointing Navy Adm. Craig Faller as new leader of the command that oversees U.S. military operations in Latin America and the Caribbean. It is also responsible for security of the Panama Canal and the naval base at Guantanamo Bay, Cuba. In brief remarks, Mattis said the Western Hemisphere is not as chaotic and prone to conflict as much of the world because of strong U.S. military alliances and cooperation with most of the 31 nations in the region. Mattis singled out Cuba, Venezuela and Nicaragua as countries in the Southern Command where democracy is either under threat or nonexistent. “Their people deserve better,” he said. Mattis did not mention the caravan of mostly Central American migrants attempting to seek asylum in the U.S. But the outgoing Southern Command leader, Navy Adm. Kurt Tidd, said the caravan is an example of the kind of challenges the U.S. military faces in the Western Hemisphere, along with international criminal organizations, terrorism threats, powerful hurricanes and drug trafficking. Also attending Monday’s event was Marine Gen. Joseph Dunford Jr., chairman of the Joint Chiefs of Staff. He did not speak to the audience. According to his Navy biography, Faller most recently served as senior military assistant to Mattis. He has previously led forces in support of U.S. operations in the Persian Gulf, Iraq and Afghanistan. Faller, a native of Fryburg, Pennsylvania, now leads a Southern Command headquarters that boasts about 1,200 military and civilian personnel from all armed services. Military operations include bases in Florida, Arizona and Texas.